People in North Korea commemorated the sixth anniversary of the death of Kim Jong-Il, the father of current North Korean leader, Kim Jong-un. Flowers and marches were part of the commemoration. 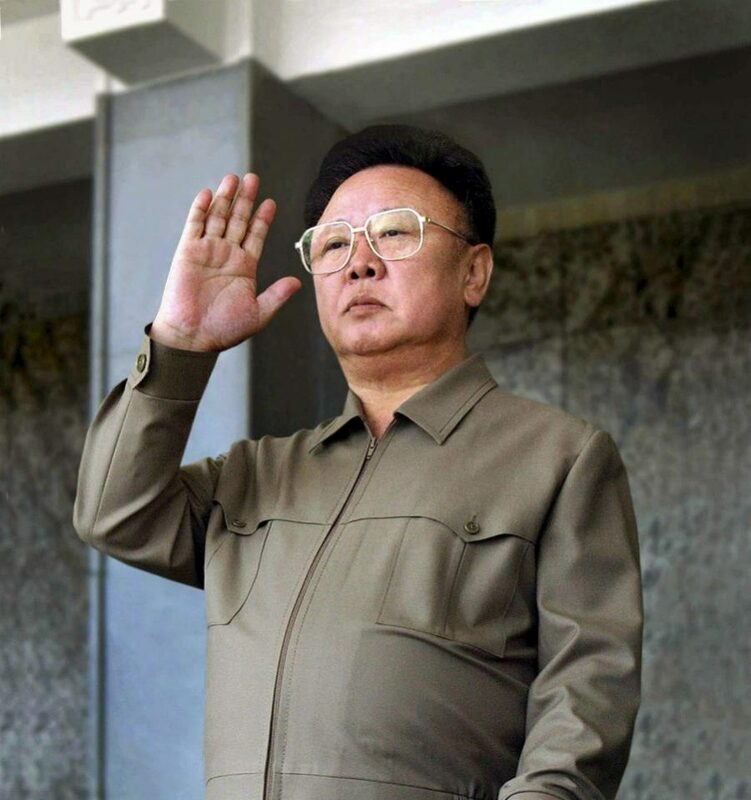 Kim Jong-il allegedly died on December 17, 2011, after suffering a heart attack. He was succeeded by Kim Jong-un even though he wasn’t the older brother. Ever since, North Korea has remembered Kim Jong-il’s legacy on the anniversary of his death. North Korea released new images of North Korean mourners as the country commemorated the death of the “Dear Leader,” the predecessor of Kim Jong-un, who died on December 17, 2011. North Koreans marched with portraits of Kim Jong-il and his son. 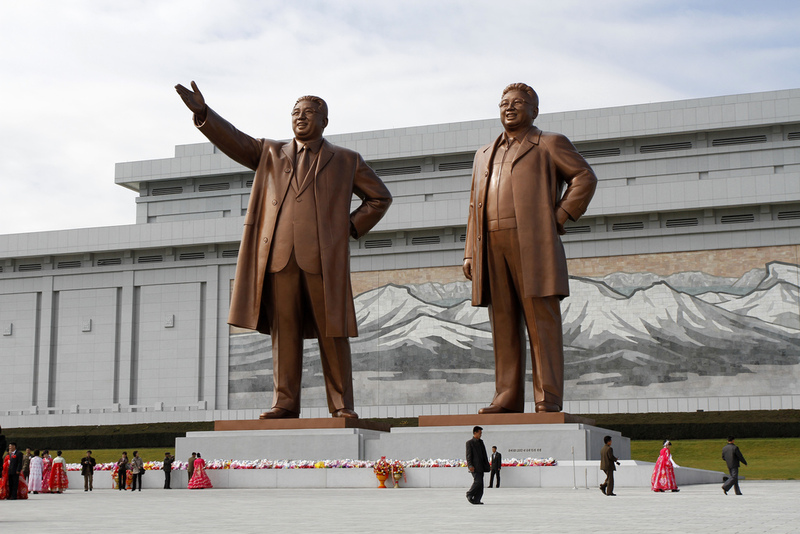 Flowers were laid in Pyongyang at two bronze statues of Kim Jong-il and his father, Kim Il-sung. People made reverences at the bronze statues of the late leader and fathers of North Korea. They also commemorated the death of Kim Il-sung – Kim Jong-un’s grandfather, considered the founder of the nation – as it is believed that Kim Il-sung died on the same day too. It was reported that senior government officials paid visits to the mausoleum where the remains of Kim Il-sung lay. Since Kim Jong-un assumed the power, tensions have risen in the Korean peninsula especially when it comes to the diplomacy with the United States and the Republic of Korea. He has been linked to different high-profile cyber-attacks, including the 2014 hack on Sony Pictures that almost provoke the studio to stop the release of its North Korean-based film The Interview. During the last year, North Korea has pursued different missile launches. After the last missile trial, the North Korean government announced it was a nuclear state. Experts consider Mr. Kim’s government might launch a missile today to commemorate the anniversary of Kim Jong-il’s death. However, the according to the records, North Korea rarely tests missiles during winter. World leaders expect tensions and provocations to increase during the spring. The United States is weighing its cards on the situation with North Korea. Last week, Senator Lindsey Graham was asked to measure the chances of the United States engaging in a military conflict or intervention in North Korea. “I would say there’s a three in 10 chance we use the military option,” Graham told. Is there a chance to solve this problem by diplomatic means? However, the chances might increase to 70 percent if North Korea’s government conducts another nuclear bomb test. Some analysts consider this is the time to pursue diplomacy and work to reduce tensions before North Korea proceeds to test a new missile or a new weapon. Secretary of State, Rex Tillerson admitted last week that the U.S. might open peace talks with North Korean with no preconditions, though historically, the U.S government requested North Korea to quit its nuclear program before, as a condition to give way to any diplomatic negotiation. Tillerson said North Korea was to earn its place at the conversation table by not engaging in more military provocations. Nonetheless, for more than 25 years North Korea’s leaders have proclaimed the right of such nations to arm itself in order to be protected from the threats – it considers exist – beyond the Pacific. The situation has been extremely difficult in 2017. North Korea has performed at least 25 missile tests, and its advancements are rising the threats felt by the United States since it was claimed that North Korea’s intercontinental ballistic missile could now reach the U.S territory. There is no doubt that the U.S-north Korean relations have never been optimal; however, 2017 represented a historic low in the relations between Washington and Pyongyang.